Whether you are new to the low-carb (keto) diet or have been eating this way for a while, you’ll have discovered that there are suddenly a lot of different foods on your grocery list. To avoid being overwhelmed by long lists of food to buy, we have put together a list of the top 10 grocery items for low-carb or ketogenic diets. 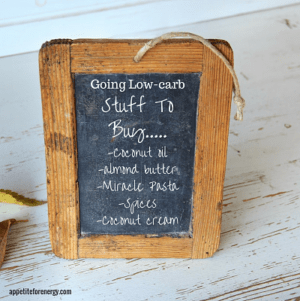 You will no doubt expand your shopping list over time, and incorporate other favorites, however this gives you a basic low-carb grocery list to get you started. There is nothing worse than going out and buying a stack of low-carb food and ingredients to find that you don’t use any of them. 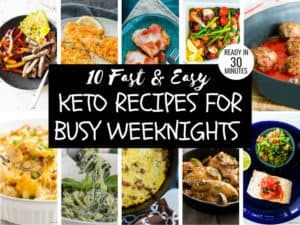 The foods on this list have been chosen because they are used frequently in low-carb or keto cooking and are generally quite versatile. They are multi-taskers which can be used in lots of different dishes from desserts to smoothies to main courses. If there is something that you know you won’t use, just skip it for now. Cumin, oregano, all spice, chili, garlic powder, salt (pink Himalayan) and pepper, cinnamon, etc. Using spices is a quick and easy way to deliver flavor to your meals. By adding different combinations of spices you can create the flavor combinations from many world cuisines. Add garlic, basil and some olive oil. 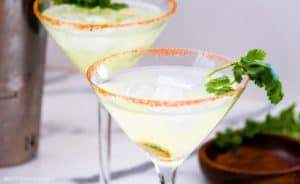 Use some chilli and lime. Try adding a generous pinch of cumin, cilantro, cinnamon and ginger to a tomato and onion based sauce. Cinnamon is also a wonderful rich spice that can be sprinkled over both sweet and savory dishes. I love adding it to food that needs a flavor lift like unsweetened yogurt or a green smoothie. If you want to experiment and learn about spices in a fun way, I would recommend Tim Ferriss’s book The 4-Hour Chef. Check out Lesson 02: Scrambled Eggs (p142), where he teaches you how to create the flavors from around the world simply using spices and eggs. Use breakfast time to experiment with the flavor combos if that takes your fancy. Your low-carb pantry will need some sweeteners to replace sugar. 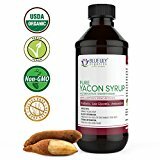 Erythritol has a very intimidating and chemical sounding name which is unfortunate as it is a naturally derived sugar substitute with zero calories. It also has no affect on blood sugar so is considered to have no carbs. Erythritol is known as a sugar-alcohol which means that it is made from plant sugars which are mixed with water and fermented (not drinking alcohol). Erythritol can be found naturally in fruit such as grapes and also some fermented foods. It is about 60-80% as sweet as table sugar and has a similar granulated texture. It is great for baking as it has a similar texture and size so it neatly replaces the bulk of sugar in a recipe. 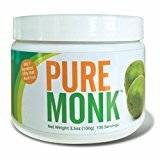 Erythritol/monk fruit blends are a more recent development in natural sugar-free substitutes. Monk fruit comes from Southeast Asia and is many times sweeter than sugar but has no calories and does not affect blood sugar. It has a glycemic index of 0. Look out for a blend that has been formulated to create a one for one sugar replacement such as So Nourished. This means that it can be used as a direct sugar substitute without having to do any conversions! 1 cup of sugar = 1 cup of monk fruit/erythritol blend. This is the brand that I use if I want to add sweetener to a drink or smoothie and I’m just replacing sugar directly, but it’s also great for baking and all cooking. What’s great about erythritol is that it does not affect blood sugar and has no calories. On the negative side, many sources are derived from cornstarch from genetically modified corn (GMO). You want to avoid GMO’s at all costs due to the many health issues associated with them. Look for a non-GMO product such as So Nourished or Swerve. Now Foods also does a non-GMO version. Check the packet as they are usually labelled non-GMO. I have used all of these brands and had great success with them. 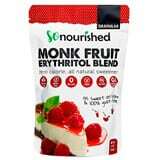 So Nourished also do a powdered confectioners (not granular) version of erythritol which is useful for baking and where you need it to dissolve well such as in salad dressings. Stevia Glycerite (a naturally occurring herb) is a liquid version of stevia that works well as a no carb, no sugar, no calories sweetener. This liquid version of stevia doesn’t have a bitter aftertaste unlike granulated stevia. When heated during cooking, it retains its sweetness where other sugar substitutes do not. Use sparingly, as 5 drops (1ml) is equivalent to 1 teaspoon of sugar. Use it in tea, coffee, smoothies, protein shakes, dinner recipes and all cooking. Try using it in Asian dishes that frequently use a teaspoon or two of sugar. 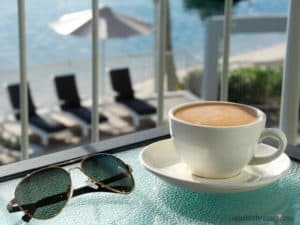 Sweeteners do come down to personal choice so if you don’t like the taste (or have an unpleasant reaction) then try some of the other options. 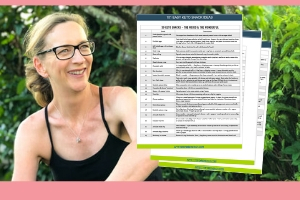 Other low-carb sweeteners to try – xylitol, yacon syrup or Natvia (stevia) or monk fruit. See images above. 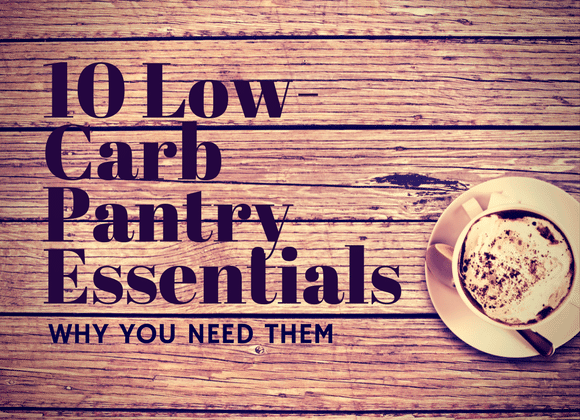 Any good low-carb pantry should contain a variety of oils. Coconut oil and olive oil are very popular amongst low-carbers providing a healthy source of fats for fuel. Use them for cooking, baking, adding to your bulletproof coffee or tea, making salad dressings etc. If you want to read about these in-depth and learn about research studies into coconut oil, click here. Uses of coconut oil: cooking at high temperatures (baking, stir-fry, saute, grilling), bulletproof coffee or tea, baking, smoothies. Some people love the taste of coconut oil and some can’t bear it. If you are not a fan of coconut oil, then try MCT oil or MCT Oil Powder as it has no flavor. 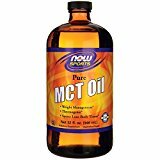 When I first started experimenting with keto and low-carb I thought MCT oil sounded like some horrible chemical concoction. Why would I want to eat that and is it even real food? I have since learnt that MCT oil is derived from coconut oil. Anyway, I am now a total convert, enjoying 1-2 tablespoons a day in bulletproof coffee and adding it to my yogurt bowls (yogurt, MCT oil, collagen powder, chia seeds, cinnamon, nuts and coconut flakes). You can also buy MCT oil powder which is more friendly on the stomach as well as being practical for travel. 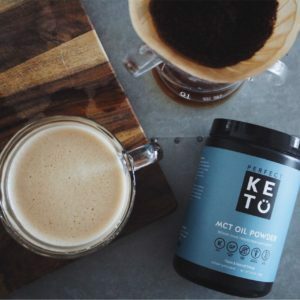 I like the Perfect Keto MCT Oil Powder which comes in unflavored, chocolate and vanilla. SO WHY PURCHASE THIS STUFF? Firstly, all the health benefits of coconut oil apply to MCT oil too (see bullet points above). Secondly, it is flavorless, so can be used in many different ways. Most importantly though, consuming MCT oil is a hack that allows you to get into ketosis even if you’ve eaten more carbohydrates than you should. It means you can cheat a little and boost ketone production in the body without total carbohydrate restriction. I love using MCT oil instead of coconut oil as its lack of flavor means that it can be added to any food or drinks. You can add it to coffee (such as Bulletproof Coffee) or salad dressings (with or instead of olive oil), soups or add it to smoothies. It is used in keto ice-cream recipes which I haven’t tried but sound interesting. It also helps you increase your fat intake while on the Ketogenic Diet, which in turn helps you to burn fat! MCT oils are sent straight to your liver, where they increase metabolism and are burned as fuel not stored as fat. They can immediately provide energy to the brain. This is why they are often used to support cognitive enhancement. Start with a teaspoon and work up to 1-2 tablespoons per day. If you have too much too soon, you will be rushing to the toilet so be warned! Or try the MCT Oil Powder version which is much gentler on your stomach. Uses of MCT oil: cooking at high temps (baking, stir-fry, saute, grilling), bulletproof coffee or tea, baking, smoothies, ice-cream, salad dressing and many more. Olive oil is wonderful for dressing salads, drizzling over cooked meals and lower temperature cooking. Its smoke point is 375-420°F (190-215°C). Coconut flour is a classic low-carb pantry staple which is also gluten-free. Use it for baking some of the huge array of low-carb sweets and treats. It is made from dried coconut meat (the white part inside the coconut). It’s wheat free, high in fiber and has a low glycemic response. Most recipes only use a small amount of coconut flour such as a few tablespoons. There are many brands that make coconut flour but I use Bob’s Red Mill organic coconut flour. Low-carb tortillas are a great item to have on standby to use for wraps or tacos. You can get back to enjoying some of your favorite foods when you have some of these stashed in your low-carb pantry. Try them in lasagna in place of the pasta lasagna sheets or bake them to make lazy low-carb tortilla chips. 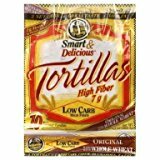 Mission Low Carb (Carb Balance) Soft Taco Flour Tortilla’s – 6g net carbs per tortilla. Quick tip: Lazy Low-Carb Tortilla Chips – bake tortilla’s in oven to make crunchy tortilla chips. Perfect to serve with guacamole, dips, cheese or beef nachos. Very easy to make – get the recipe here. 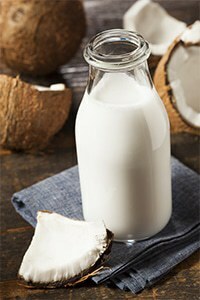 Coconut cream and milk is a common and very useful ingredient in low-carb cooking. 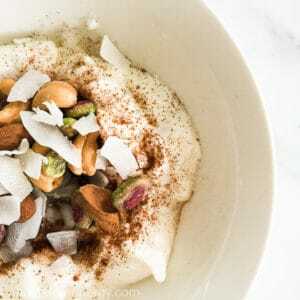 There are 1g of net carbs in 1 cup of coconut milk and 2g in coconut cream. Use the coconut cream in cases where you need a creamier texture. Otherwise decide which product meets your macro needs. Coconut milk has less carbs but if you need to bump up your fat intake for the day, then the cream has more fat (27g per half cup v 20g for coconut milk). There are so many uses for both the cream and milk such as desserts, curries, sauces for protein meals, smoothies, butter coffee and fat bombs. I always have several tins of diced or whole tomatoes in my pantry. They are super handy for easy meals like making a low-carb sauce for meatballs or other proteins. I use them for casseroles, bolognese, chilli recipes etc. They are reasonably low-carb with about 8g net carbs per cup. It will add up if you use too much so don’t overdo it. I’m a huge fan of all kinds of nut butters like almond, peanut, cashew etc. Go for the lower carbs ones like almond and peanut butter. Make sure you buy a natural version with no added salt or sugar (just the nuts). Nut butters are great for low-carbs snacks. I put it on celery sticks for a crunchy snack or add to smoothies. Often nut butters are used in baking as they can add great flavor and texture to muffins etc. They do contain some carbs so keep portions low and don’t eat more than one spoonful straight from the jar! If you are a (former) pasta lover then these pasta and noodle products need to be in your low-carb pantry. They are made from the konjac plant which is a vegetable that has been popular in Asia for some time. Flour, pasta and noodles are made from the root of the Konjac plant. It has close to zero carbohydrates but has some fiber, so is ideal for Ketogenic Diets. They come in pasta styles like spaghetti and fettuccine as well as rice. What is awesome about these products, is that they are pre-cooked and only require 1-2 minutes in boiling water and they are ready to eat. They can be used with delicious creamy pasta sauces or added to Asian dishes, noodle style or rice style. Depending on where you live, these products are becoming more widely available as low-carb eating becomes more popular so check your local supermarket for these or new similar products. Some brands to try are Miracle Noodles and Better Than Pasta. I wouldn’t normally suggest processed protein or energy bars but I have to admit that they do come in handy from time to time. When you are first starting out on a ketogenic diet, you will probably feel hungry between meals. 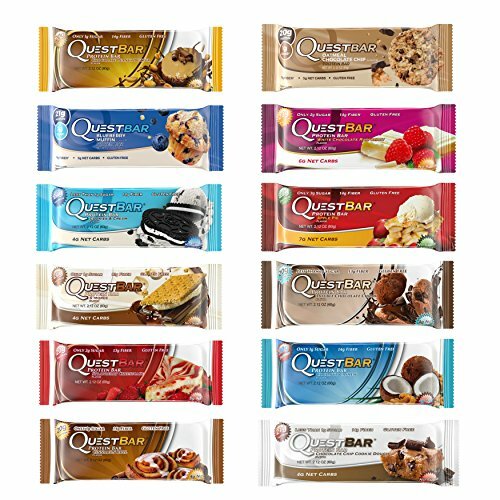 Having these Quest bars on hand can be a life-saver when you are about to reach for a high-carb candy or treat to get you through the afternoon. As you work out what you can and can’t eat, these can be your low-carb backup plan. Reach for one when you are feeling the carbs-a-calling. 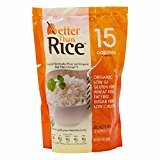 They are also particularly useful for travel or when you find yourself somewhere where you can’t find decent quality low-carb food. What would you add to this list of low-carb grocery staples? I’d love to know which of these products you use and if you have any brands that you love. Drop us a comment below – we’d love to hear from you! Thank you for your detailed assesment of the needed items to start your Keto diet right. I went out and bought it all! I appreciate all of your research and the personal touch of experience that you added to this article. Live long and be happy. You’re so kind Michelle. 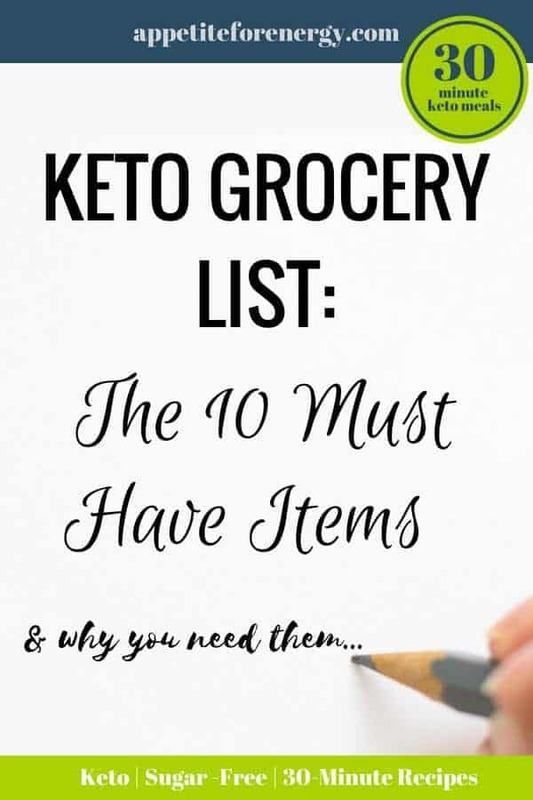 Good luck on your journey and you’ll soon have your own list of keto grocery favorites!